Microsoft Azure CTO, Mark Russinovich, has mapped out the vendor's focus on new technologies in areas such as quantum computing, security and high performance storage. Russinovich was in Sydney on 3 April, as the company’s new Azure Australia Central regions in Canberra were launched and it was announced that its local Azure regions had gained “protected” status from the Federal Government to handle classified and highly sensitive public sector data. Russinovich discussed how the company is prepared to create mission critical infrastructure applications on top of its platform, along with the new technologies it is now keenly focusing on. One particular segment involved quantum computing, with Russinovich revealing that Microsoft is currently working on a topological qubit, which is 100 times more stable than the kinds of qubits companies are currently using. A qubit is a unit of quantum information. Used in quantum computing systems, it is the quantum analogue of the classical binary bit. In July, Microsoft ramped up its quantum computing research partnership with the University of Sydney, striking a multi-year global agreement. “What that means is we’ll be able to create quantum computers with thousands of qubits and operate them very efficiently,” Russinovich said. In December, Microsoft offered up a free preview to developers of its quantum software development kit (SDK). “This is the way we’re getting the market ready to deliver quantum computation. Many of our customers are already working with us with their real world problems, and are starting to map them on the quantum algorithm in the Q# (q-sharp) language,” Russinovich said. Microsoft is also working towards a goal of reducing the amount of storage needed to store data, making it more cost effective. Russinovich drew upon Azure Archival Storage, which is tape-based, and said the company wasn’t entirely satisfied with that. In turn, he discussed Microsoft's disk-based technology, code-named Pelican. “The reason we’re investing in this, is because tape enclosures are fairly expensive and require special infrastructure in a data centre, so they’re not always economical,” he said. “What makes this unique is that there’s a few computational servers, and the disks can’t spin up at the same time because it will draw too much power. "So what happens is the scheduler running inside those computers, along with the data access that is being made, will spin up appropriate disks and spin down other ones to keep the power below a certain threshold. By doing this, you increase the latency of access, but you can store massive amounts of data very efficiently with very low power," he said. Another area Microsoft is turning its attention is archival storage, in a project dubbed, Silica, which uses femtosecond (one quadrillionth of a second) lasers to store data on quartz glass. A 25mm sheet of glass can store 50 terabytes of data with the technology. Another area that Russinovich touched on was trusted computing. 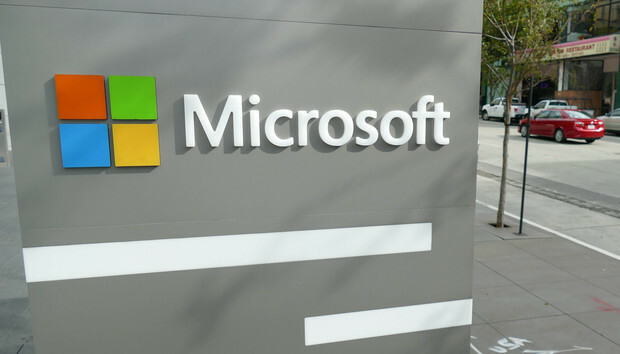 In September, Microsoft announced a limited preview of its trusted ‘enclave,’ which Russinovich described as a black box where organisations can place their data, and it remains protected from any outside access including Microsoft themselves. “It’s encrypted at the processor level and nothing can tamper with it,” he said. “That data is also protected from a whole bunch of threats. Malware that breaks out into the infrastructure, can’t access that data and if government authorities want access to that, while we do want to comply with government agencies, we technically can’t provide access to that data. “That’s the building block for confidential computing and we’re working on integrating that into our software services," he said.